A sulfate-free and nourishing shampoo with violet / blue color pigments. Neutralizes unwanted yellow / gold tones in blonde and grey hair and brightens highlights. Gives natural grey and white hair a fresh, cool and bright appearance. Mildly cleanses normal and coloured hair. 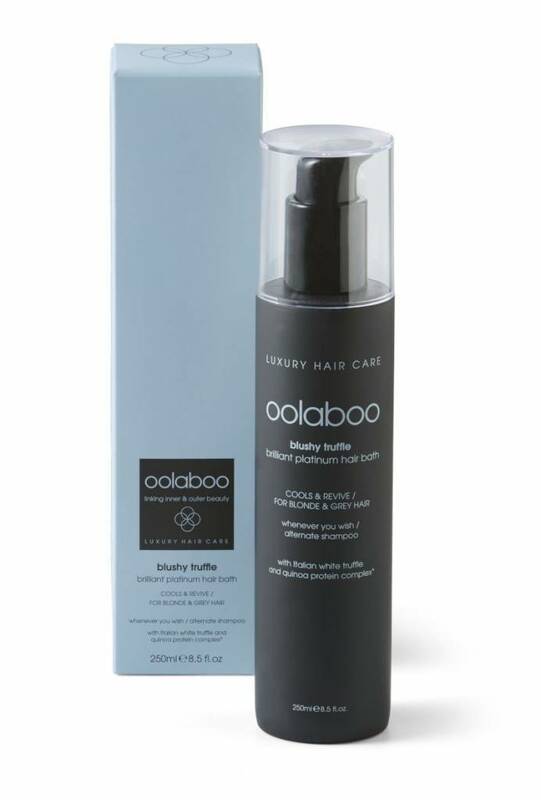 A blend of complete nutrients helps protect hair and scalp against damage and aging and keeps it in a healthy condition. Natural UV filters prevent the loss of colour through exposure to sunlight. Shake well before use. Distribute a large drop of hair bath on damp hair and scalp. Massage thoroughly. Rinse well. Repeat. For a full effect, allow the hair bath to remain on the hair for 1 to 3 minutes. For maximum results, use blushy truffle platinum conditioner afterwards.